The second test match between India and Australia is underway at the New Perth Stadium. Australian skipper Tim Paine won the toss and elected to bat on a lush green wicket expected to offer plenty for the bowlers, taking everyone by surprise. India, on the other hand decided to go in with an all pace attack considering the conditions on offer. Australian openers Aaron Finch and Marcus Harris however managed to make it to lunch without giving away their wickets to a slightly off colour Indian bowling attack. 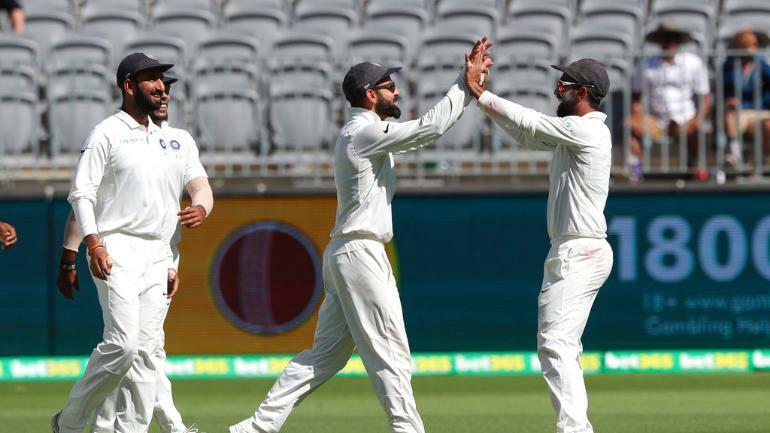 Things however changed thereafter with India managing to bounce back with 3 wickets in the afternoon session, with the Australian middle order once again showing their vulnerability. The third session was always going to be important considering the way things have churned out in the series so far. It was Ishant Sharma who provided the first breakthrough for India in the post tea session with a back of length delivery bowled with perfectly presented seam. Peter Handscomb went for the cut but the extra bounce on the pitch did him completely and the outside edge from the bat went flying between second slip and gully. 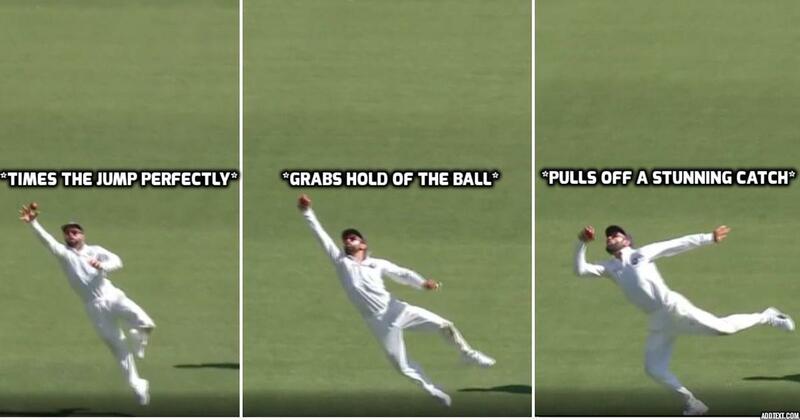 Indian skipper Virat Kohli, who was standing at second slip, timed his jump to perfection and managed to pull off a one handed stunner to send Handscomb packing. The catch from the Indian skipper was testimony to the Indian skipper’s extraordinary fitness levels and ensured that India once again took the upper hand in the test match. Jordi Alba says he would be happy to see this Chelsea star at Nou Camp!